Thursday, July 11, 2002. Philadelphia, PA. Photos by Mike Levin. - Global Education and Advocacy. 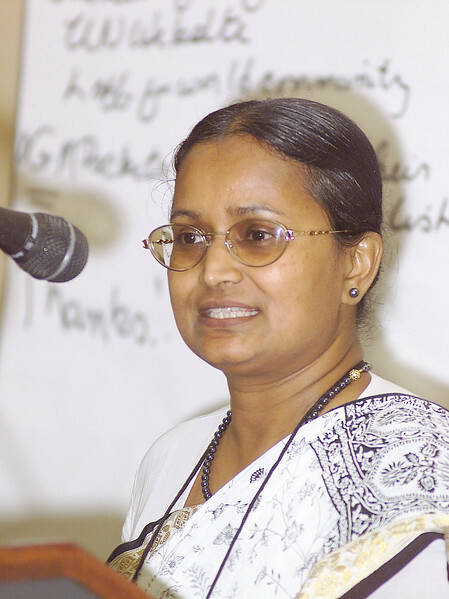 Priscilla Singh, Secretary for Women in Church and Society desk of LWF looks on.